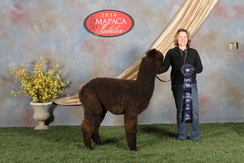 We are very excited about our 2013 cria! Ace of Spades! 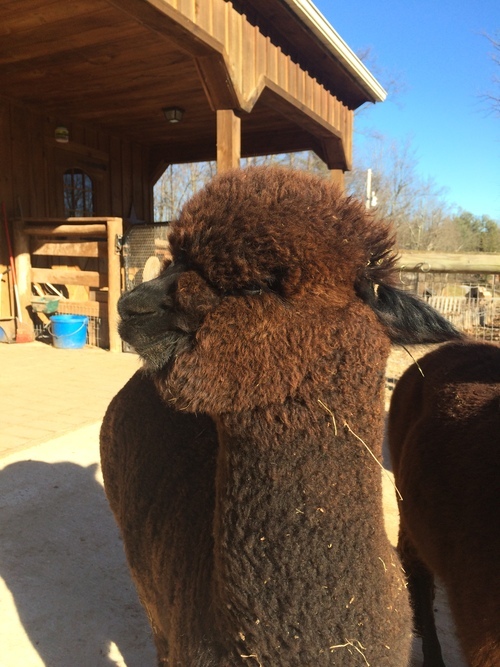 Our second cria from Plum Merlot! Ace's Sire is the 6X Champion LAAF Campeon! A beautiful male with champion genetics! 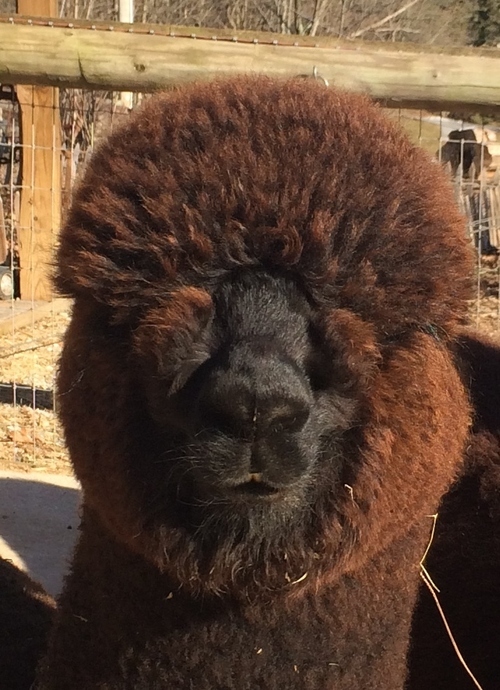 Our Ace is an extraordinarily handsome True Black male with medium bone, solid frame, and full head and “typey” profile. 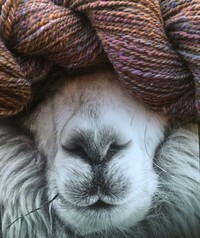 His fleece is fine, beautiful and very consistent with medium frequency crimp that extends well beyond the blanket. His first show the MAPACA jubilee at 9 months old he took a first out of 16 juveniles. Unproven male ready to settle his first female.